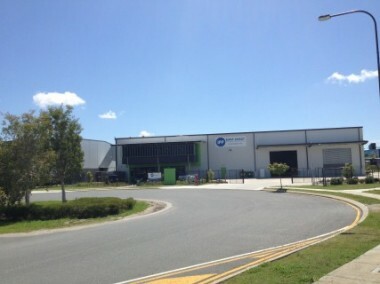 TradeCoast Central has completed this office warehouse unit of 1,242 square metres at 71A Amy Johnson Place TradeCoast Central. The build took 19 weeks and then the client fitout a further 8 weeks and IPP East Coast has now moved into their brand new office and warehouse facility. IPP Group recognised that to take advantage of the numerous upcoming LNG projects and develop the huge existing business on the East Coast of Australia and neighbouring Overseas Markets, then the business needed to establish a local presence. International Piping Products East Coast has high quality executive offices located within easy reach of its customers and is the sole and exclusive agent for the Group’s Manufacturing and Stockholding Companies, IPP Europe and IPP Scomark. IPP Group is well established as a market leader in the global supply field of Piping & Valve components to the Oil & Gas, Petrochemical, Mining, Processing, Power Generation and Water Processing industries throughout Australasian, Europe, Middle East & SEA regions. Supplying all major products (Pipe, Fittings, Flanges, Valves & Forged components) in all material groups / grades. Carbon Steel, LTCS, Nickel Alloys, Titanium, Stainless Steel, Alloy & Exotic Piping components. Brand (Business development for IPP Group). IPP Europe (IPP East Coast) – Vast range of Ex Stock Material of Pipes, Flanges and Fittings, in duplex and super duplex and nickel alloys.